Roman Camp Inn01263 838291work01263 837071fax InnWhether you come to us overnight on business, or for a relaxing holiday you'll find the essentials generously taken care of. Our bedrooms are all decorated and furnished to the highest standard and our restaurant offers excellent food throughout the day, our bars are open all day for real ales, morning coffee and afternoon tea. Residents have the option of a luxury room with spa bath, 15 ensuite rooms, seven superior doubles, a family suite comprising two connecting rooms, and two standard twin bedded rooms. Daily price is £80.00 per person per night for bed and breakfast, with a £20.00 supplement for single occupancy. Whether you come to us overnight on business, or for a relaxing holiday you'll find the essentials generously taken care of. Aylmerton is set adjacent to the magnificent National Trust estate at Felbrigg. Our gardens offer a network of private walks to the estate, a romantic secret garden with summer houses and a terrace for outdoor eating. 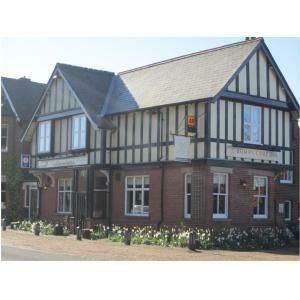 From Cromer take the A148 to Holt continue for 1.5 miles and hotel is situated on main road at Aylmerton. From Cromer - 1.5 miles Take A148 from station (signposted to Holt).